I’m fascinated by this quote that Henry Ford may or may not have uttered. In The best of both worlds I promoted Design Thinking as a means of using customer insights to inform strategic decision making. However, as the above quote suggests, customers don’t know what they don’t know. Sometimes it takes an expert to show them. In an era in which the very existence of the L&D department is attracting evermore scrutiny, the role of the “expert” in our context is becoming increasingly pertinent. I have long been of the opinion that L&D professionals should dispense with being the SME of what is being trained; and instead be the SME of how it’s being trained. Under this paradigm, we are the experts in the science and practice of learning and development, and we consult the business accordingly. This resonates with me because beyond the education and research I invest in myself, I’ve been around the block a few times. I have a strong idea of what will work, not only because I’ve read up on it and thought deeply about it, but also because I’ve seen it play out with my own eyes. I also get paid to focus on my portfolio every day. I consider it not only my mandate, but an ethical obligation, to originate and innovate. So I’m more than comfortable with L&D professionals pushing the envelope on the basis of knowledge, curiosity, creativity and experience – so long as these activities are put through the Design Thinking cycle too. By this I mean be confident that your idea is a sound one, but not so arrogant as to instil it with blind faith. Put your one-man (in my case) fruit of ideation to your customers to check it will work for them. While you’re at it, confirm the problem statement is indeed one that needs to be solved. So much for Design Thinking being linear! Then proceed with prototyping and testing, prior to launching an MVP, and iterating and evolving it. In this way, the promise of expertise is tempered by an agile approach. It hedges the bet not only by building confidence pre-launch, but also by minimising potential losses post-launch. If Mr Ford had resigned himself to breeding faster horses, he never would have launched the Model T.
In our admirable quest to utilise our customers as a source of innovation, let’s balance that approach by empowering the experts whom we have hired to practise their expertise. Lest the L&D department be put out to pasture. This entry was posted on 16 July 2018 at 6:56 and is filed under innovation. You can subscribe via RSS 2.0 feed to this post's comments. I wonder sometimes if the L&D Department SHOULD be put out to pasture. Does it’s very name and existence create a mindset that learning and development belongs in one place in a business rather than a whole of business (life) approach? And does it’s name pre-suppose that the solution to a problem is learning (I have similar issues with the term Instructional Designer) when it may need an environmental or process change? 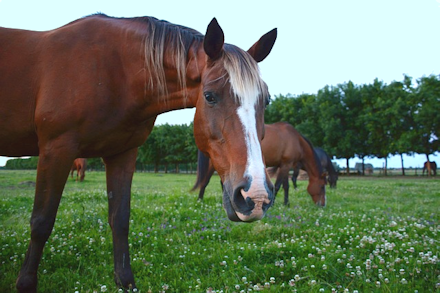 Maybe us L&D people should be the horse whisperers! Good point, Neil. There’s an argument that the L&D department should be abolished and the L&D pro’s embedded into the business. Do you still see value in the latter — SME’s in L&D, so to speak? Ryan…… here comes another analogy….while I like the horse whisperer, I think L&D should corral the thououghbreds and brumbies (curate) where all cowboys and their friends can pick the right “ride” for their trip! I totally agree: L&D experts should be those that help an organization to focus its real needs, and then to find the best path to reach the goal, based on their experience and knowledge. Thanks for your support, Alberto.